My husband and I are working couples and you know how that is. Keeping up with the demands in the kitchen means having the right appliances to fill the need especially when schedule gets hectic and you have little mouths to feed! We've recently put two appliances to the test. See how they fared with my family's demand. Whenever I go to conferences with my family, we always check out if they offer the make-your-own-waffles for breakfast at the hotels we stay at. We love waffles but we also love the experience of making it ourselves using those nifty rotating waffle makers! 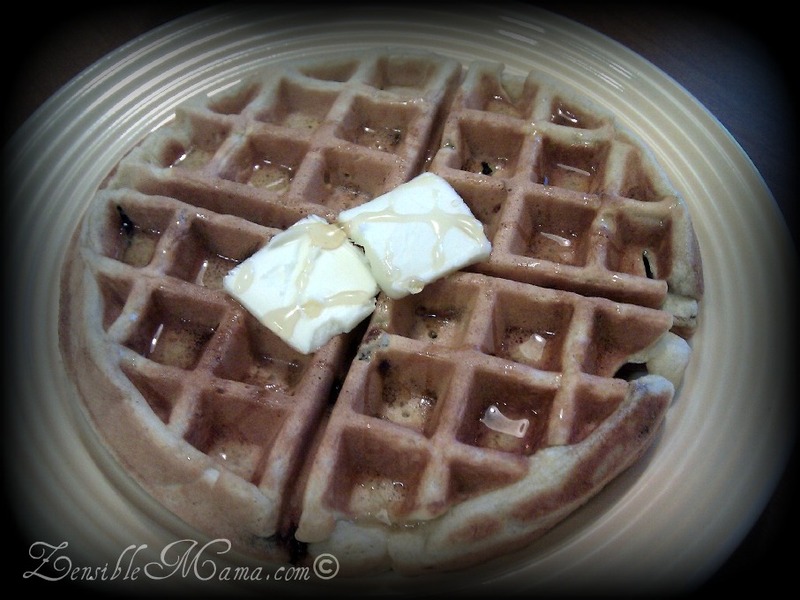 Sunday Brunch is one of our family's tradition where entree' consists of either pancakes or french toasts or waffles. Having the Bella Cucina Rotating waffle maker had changed our preference for several Sundays quite a bit. 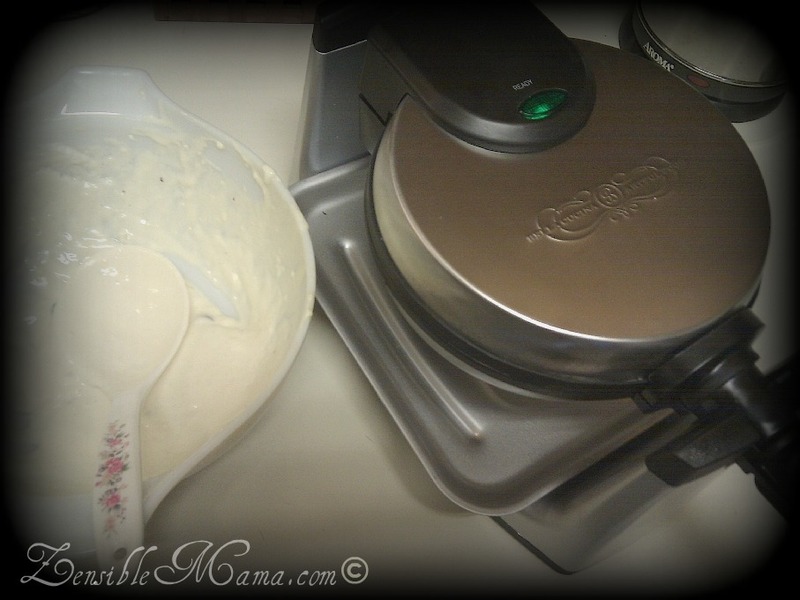 You can easily see that we love the waffle maker! The ease of use and clean-up is superb. The design is excellent and we like that the handle folds. We create our own mix and never had any problem using the homemade version unlike what the online reviews had stated about using the right mix. One feature we like is the control setting for cooking the waffle. 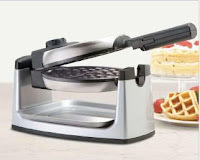 We totally adore this little gadget and so far, have been great at keeping with our waffle demands, Sunday or not! This is a great buy for sure! Compact 2 in 1 appliance. 1 1/2" toasting slot fits thick breads. Electronic toast shade and oven temperature controls the consistency. Removable crumb tray and automatic toaster shutoff for convenience. Just like any typical family, leftovers are a part of our life. And just with any leftovers, you rely on a good appliance to re-heat them. 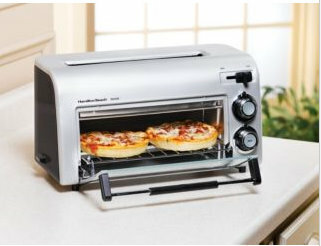 A good compact toaster/oven is a great option specially for a quick re-heating. Unfortunately, the Hamilton Beach Toaststation failed to meet the demands. The height of the main compartment is too short to fit a regular sub sandwich. There was no timer or alarm to alert you, we ended up burning quite a few sandwiches. It can only fit one slice of regular pizza which is quite limiting for a family of three who wants to eat at the same time. It makes it impossible to even use the toaster and oven at the same time since the toaster takes up much space at the bottom. Not great for home use but may do great as a college kids dorm room back-up appliance. These products are great gift ideas and they are available along with a wide array of products and popular brands at Gettington.com. Check their site out for more selections! They've got great deals going on all the time! Gettington was one of the sponsors at Blogher last year and I just love the bags they provided to all the attendees during the conference! It's my go-to-tote bag that I bring with me every time I travel to conferences now. If you're looking for a new place to shop online, definitely check Gettington.com!